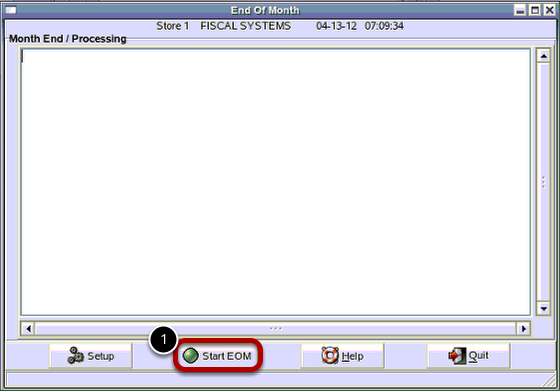 TravStar1 Point Of Sale SystemManager's Work Station MaintenanceHow Do I Run End of Month? 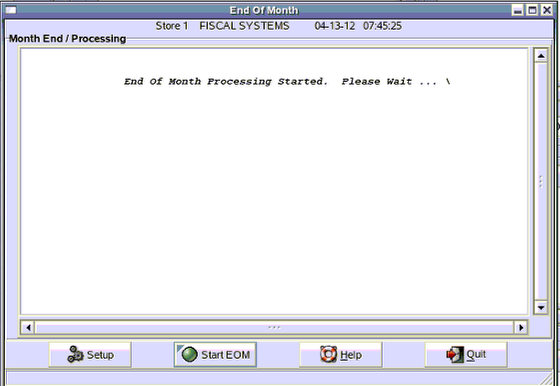 How Do I Run End of Month? This lesson will teach you how to run the End Of Month. This process should be done after all statements and reports, if any, have been run for the month you are closing. It is recommended that you do a backup before the Month End. 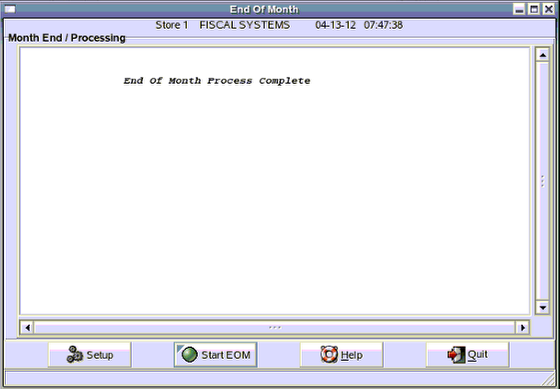 If the month end process is not done in a timely fashion and a year goes by without an End Of Month process, then it makes it difficult to use the electronic journal to view past transactions. It also causes reports to slow down considerably. (2) Click inside the date box to choose the last day of the month you are closing. 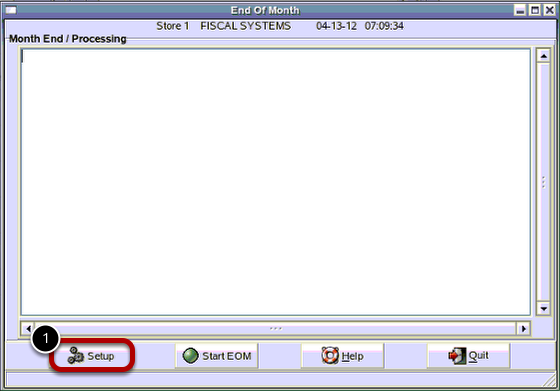 (3) Check the first check box to Process Accounts Receivable Month End. 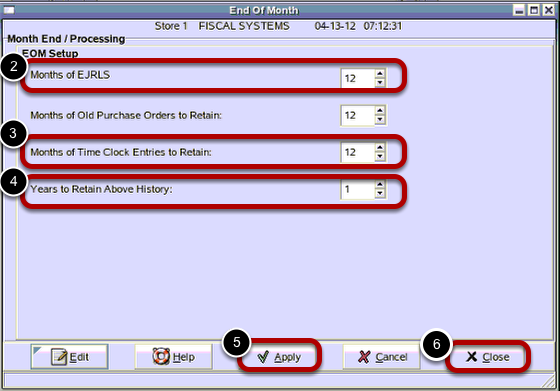 (4) Check the first check box to Process Inventory Month End. 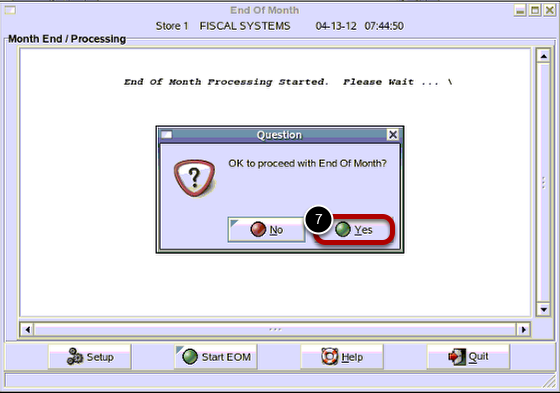 and check the third check box to Use New Period After Inv Month End. 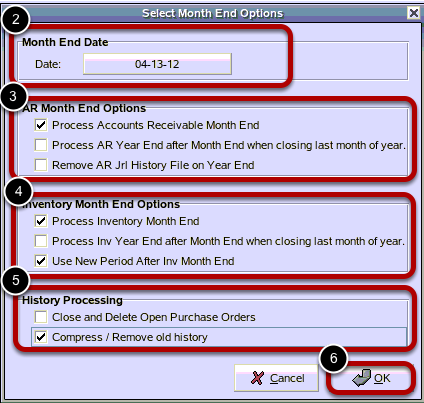 (5) Check the first check box if you would like for the system to Close and Delete Open Purchase Orders and check the second check box to Compress / Remove old history. The End Of Month process in now complete. 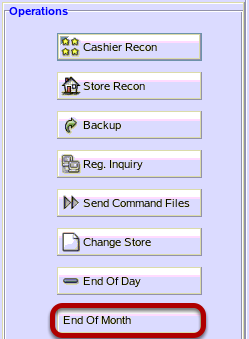 Prev: How Do I Restart the Manager's Work Station? Next: How Do I Run End of Year?